This page attempts to comprehensively list every album or single (if exclusive) on vinyl or CD (and some audio and video tapes) that includes material by Chris Hillman. If you can provide scans of album covers (including variations of those shown here), please e-mail me. Note: The image at top left is the original album cover. The second image is from a U.S. reissue in the early to mid-60s, credited to the Kentucky Mountain Boys. The third image is from a Holland reissue on Ariola Records from circa 1974. The fourth image is from the UK CD release from 1998 on Demon Records. The fifth image is from a UK CD release from 2003. The sixth image is from a vinyl LP called Bonnie and Clyde, with an added track by another band. Note: Track list unknown at present. Includes at least one song by the Scottsville Squirrel Barkers. Note: "Christopher Hillman" is credited with playing mandolin. Pictured at left is the original World Pacific cover. At right, the 1978 japanese re-issue on United Artists. Note: Chris Hillman is credited with playing mandolin. Note: Chris Hillman plays bass on the album. The CD is available in both mono and stereo. Notes: Roger McGuinn co-wrote songs marked *. Hillman co-wrote one song marked #. 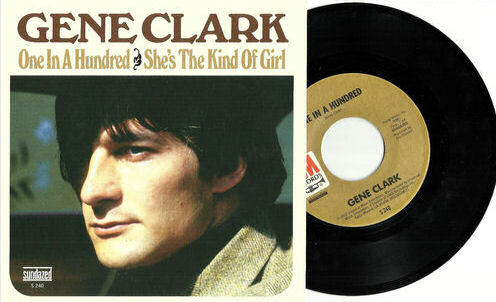 Gene Clark wrote one song marked ^ . Chris Hillman and Roger McGuinn play on the album. Picture at right is CD release. Note: Below is a variation of the original cover. Note: Chris Hillman plays mandolin on "Git It On Brother" and "Something's Wrong." The three bonus tracks were originally available only on rare Dillard and Clark singles (45s). Note: The extent of Chris Hillman's participation isn't known at present. Note: With These Chains is apparently unavailable on any U.S. reissues. The original Together Records cover is at top left, a Dutch reissue on vinyl cover is second (on the Negram label). 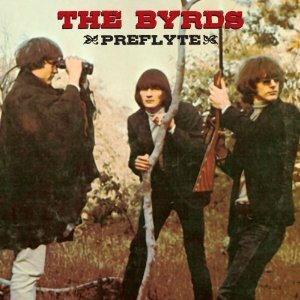 Note: Early Byrds demos. This album contains five versions of songs (#) that are not on the CD reissue, "In the Beginning." Most of the songs on the CD were also remixed. In addition, "Early L.A." includes another version not on either the album or CD. The Together Records album cover is pictured above at top left. Center is the (U.S.) Columbia Records release. At right is the European cover. Middle row left is the label from the Canadian LP, which features the Together cover. Middle row right is the Poptones (U.K.) vinyl and CD release. Lower row are two Japanese CD releases. 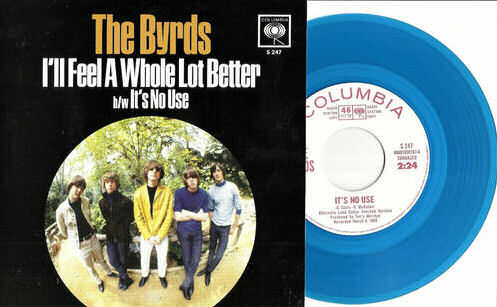 Other rare releases can be viewed on Byrds Flyght's Rare Byrds Vinyl Pages. Note: Chris Hillman is credited with playing mandolin on the album. Note: Chris Hillman produced these recordings. He is not known to have participated otherwise. Note: This live version of Six Days On The Road is exclusive to this release. Other tracks by The Rolling Stones, Jefferson Airplane, Tina Turner (recorded live at the Altamont Festival in 1969). Pictured at right is the DVD release. Note: The version of "Tried So Hard," reportedly with Gene Clark on backup vocals, is different from the version later issued on the "Flying Burrito Brothers" (self-titled) album. Update: in a May 2008 e-mail to Jean-Pierre Morrisset, Chris Hillman says that Gene Clark did NOT sing on this track. Note: Includes songs by Gene Clark, the Flying Burrito Brothers, the Strawbs, Marc Benno, Jericho Jones, Gary Wright, Booker T, Supertramp, Rita Coolidge, Lee Michaels, Shawn Phillips and Humble Pie. Track list unknown at present. Note: The image at right is from the Mobile Fidelity Sound Labs CD reissue. Note: Chris Hillman plays mandolin on one song, "Chattanooga." He reportedly plays bass on all songs. Note: Chris Hillman reportedly plays bass on this single. Track 1 is NOT on the LP. Note: Chris Hillman is credited with playing bass on the album, which also features Sneaky Pete Kleinow (on steel guitar), Michael Clarke (drums), Bernie Leadon (guitar) and Byron Berline (fiddle). Note: Chris Hillman is credited with mandolin where noted # or vocals *. Note: The image is the original vinyl album cover. Two tracks are from the "Honky Tonk Heaven" album, #. Note: Versions of some songs may be unavailable elsewhere. Note: Chris is on Side B, as well as some songs on side A by Dillard & Clark. Note: Chris Hillman plays mandolin. Note: Chris Hillman serves as producer. He plays bass on "Four Days Gone" and "Glad To Be Goin'" and sings background vocals on "The Captain". Note: A compilation of released and unreleased Flying Burrito Brothers material. Note: Chris Hillman is credited as playing bass on the album. Note: A compilation of released and unreleased Flying Burrito Brothers material. At left is the japanese release re-titled FOUR SIDER. Note: The extent of Chris Hillman's participation is not known. Note: Chris Hillman plays mandolin on "From a Silver Phial." Note: Chris Hillman plays bass on the album, which is essentially a re-release of the "Gene Clark with the Gosdin Brothers" album remixed and with new vocals by Gene. The album omits one song found on the original, "Elevator Operator." Note: Chris Hillman is credited with playing mandolin and singing harmony & background vocals. Note: Chris Hillman participates on those indicated #. He produced those indicated *. Note: Chris Hillman participates on the tracks noted (#). Note: Chris Hillman gets a "special thanks" on the back cover, but it is not cleared whether he participates or not. Note: Chris Hillman plays mandolin on many songs. Note: Chris Hillman is credited with background vocals. Note: This radio show (Program 115) featured a live recording of the Chris Hillman Band and aired during the week of Oct. 17-23, 1976. The vinyl radio disc also includes four songs by the band Supertramp. Note: This is a Roger McGuinn compilation sent only to radio stations. 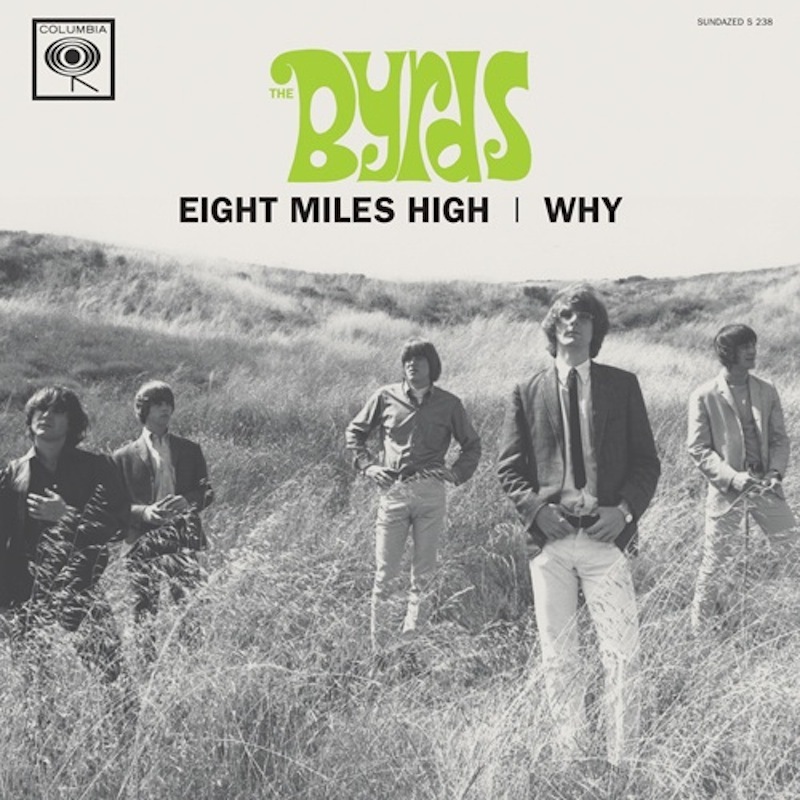 It includes several Byrds songs which also feature Chris Hillman. Note: Chris Hillman produced the album. He isn't credited with playing or singing on it though. Note: Chris Hillman sings background vocals on "Bittersweet Love." Note: This album contains the 45-single versions of these songs, which are generally unavailable. Amusingly, the CD version features, not the single version, but the album version of "Why?". Note: Chris Hillman sings harmony as noted (#). Note: Recordings from 1963-1964. The reissue by Sugar Hill Records includes bonus tracks not available on the original vinyl album from 1969. Bonus tracks available on both vinyl reissue of 1981 and CD reissue of 1995 are indicated *. In addition, one bonus track was included only on the CD reissue, #. However, two songs from the original album were omitted on the Suger Hill vinyl reissue: Wheel Hoss and With These Chains. One of those was not included on the CD reissue: With These Chains. The 1981 vinyl reissue on Sugar Hill is left, and the Sugar Hill CD release is second. Note: Recorded live March 13, 1973, at Ultrasonic Studios, Hempstead, N.Y., for WLIR radio. Note: Pictured on the right is the long box CD version. Note 2: The bonus track (a live version of $1,000 Wedding) was added to the november 2009 re-release by Sierra Records. As opposed to what's been announced by Sierra Records, some sources think it is not from the same Fallen Angels session, but from an earlier (1971) concert by the Flying Burrito Brothers with Gram Parsons, Sneaky Pete, Chris Hillman, Michael Clarke and Chris Ethridge. Note: This was a follow-up to God Loves Country Music (Country Praise's subtitle is God Loves Country Music No. 2). Chris Hillman may or may not participate on this album, which features Bernie Leadon, Al Perkins, David Mansfield and Jerry Scheff (the core band for most of the Hillman-related gospel albums of the early '80s) on many tracks. Note: Chris Hillman participates on at least one song. The album features Bernie Leadon, Al Perkins, David Mansfield and Jerry Scheff (the core band for most of the Hillman-related gospel albums of the early '80s). Note: Chris Hillman does not appear to participate. It is included here because a number of people question his involvement on the LP, which does feature Bernie Leadon, Al Perkins, and David Mansfield (the core band for most of the Hillman-related gospel albums of the early '80s). Hillman is not listed among the contributing musicians. Note: Chris Hillman plays mandolin and high strung guitar on this release. Al Perkins, David Mansfield and Joe Bellamy also participate. Note: Chris Hillman is featured on vocals (mostly background vocals) and mandolin. Re-released on CD in 2006 by Sierra Records. Note: Chris Hillman is featured on vocals (mostly background vocals) and mandolin. Notes: Liberty Flyer was a syndicated radio show. A Chris Hillman show from Asheville, North Carolina, was featured on the first broadcast, and radio discs circulate (Liberty Flyer Show 001). They are exceedingly rare - reportedly only 250 copies exist. Note: Chris Hillman plays mandolin & sings harmony vocals on the song "High Country Snows". Note: Chris Hillman, who plays mandolin & sings harmony vocals on the song "High Country Snows"from the LP of the same name, also participated in some concerts made to promote the LP. Disc two marked * (the live concert segment - recorded 04/09/1985 in Universal City, CA) features the band that played on the LP. Note: The original CD cover is pictured. Note: A compilation of tracks from earlier compilations, Sleepless Nights and Close Up the Honky Tonks. Note: Chris Hillman sings background vocals and plays bass as indicated, #. Note: Chris Hillman is credited with playing bass and mandolin and "The Lust The Flesh The Eyes And The Pride Of Live". 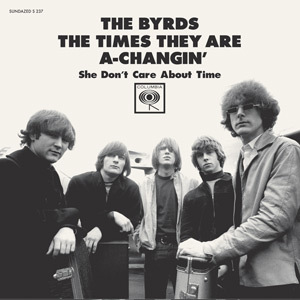 Note: A compilation of unreleased Byrds material. Chris Hillman appears on all of the songs except the last. Notes: The Desert Rose Band was featured several times on the Westwood One syndicated radio show, Live from Gilley's. Vinyl radio discs from this show, recorded in 1987 at Gilley's in Pasadena, Texas, circulate among collectors. This was show 88-15. Note: This sampler includes an alternate version of the Desert Rose Band's "She Don't Love Nobody" that is quite different from the LP version. The promo CD's version has all the steel guitar parts replaced by distorted fuzz guitar, probably courtesy of John Jorgenson. Some listeners believe the other tracks on this promo CD are slightly remixed, as well. Note: Chris Hillman plays mandolin on "The One Who Wore My Ring". Note: A compilation of released and unreleased material. Note: Although credited on the record to Chris Hillman & Roger McGuinn, the B side ("Don't You Hear Jerusalem Moan") is actually performed by the New Grass Revival. This single was withdrawn after the mistake was noticed, and a correct version was then released. Note: Chris Hillman and Roger McGuinn are featured vocalists on "You Ain't Going Nowhere" and are among the background vocalists on the "Will the Circle Be Unbroken" and "Amazing Grace". Note: Also includes interviews with Chris Hillman. All songs are studio versions. Notes: Vinyl radio discs from this show, recorded in 1989 at the Ritz in New York City, circulate among collectors. This was show 90-07. This recording has been heavily bootlegged. Note: This compilation includes one song by the Desert Rose Band. Note: This 45 includes a B side not included on any album. The single says it's on the Pages Of Life CD, but it was evidently dropped before the album's release. Song was written by Hillman and Steve Hill with lead vocals by Herb Pedersen. Notes: This is a 3-LP radio show that aired the week of Aug. 11, 1990. The records include interviews with the Desert Rose Band, Holly Dunn, Kathy Mattea, Tim O'Brien and Clint Black. The albums include recordings by the Desert Rose Band, Mark Chesnutt, Garth Brooks, Pirates Of The Mississippi, Patty Loveless, Paul Overstreet, Steve Wariner, Highway 101, Kathy Mattea and Tim O'Brien, Shelby Lynn, Rodney Crowell, Keith Whitley and Lorrie Morgan, Carlene Carter, Lee Greenwood, Doug Stone, Bellamy Brothers, Mary Chapin Carpenter, Don Williams, Alabama, Ricky Van Shelton Dan Seals, Tanya Tucker and T. Graham Brown, Kentucky Headhunters, Alan Jackson, Clint Black, Waylon Jennings, Shenandoah, Travis Tritt, Lorrie Morgan and Vince Gill. The vinyl discs that were sent to radio stations circulate among collectors. Notes: This is a 3-LP radio show that aired the week of Aug. 18, 1990. The records include interviews with Conway Twitty, Lionel Cartwright, The Desert Rose Band, Lee Greenwood, Waylon Jennings, Alan Jackson. The albums include recordings by Desert Rose Band, Eddie Rabbitt, George Strait, Lionel Cartwright, The Judds, Mark Chesnutt, Pirates Of The Mississippi, Conway Twitty, Dan Seals, Steve Wariner, Kathy Mattea and Tim O'Brien, Shelby Lynn, Rodney Crowell, Keith Whitley and Lorrie Morgan, Don Williams, Carlene Carter, Lee Greenwood, Doug Stone, The Bellamy Brothers, Mary Chapin Carpenter, The Kentucky Headhunters, Lorrie Morgan, Alabama, Conway Twitty, Ricky Van Shelton, Waylon Jennings, Tanya Tucker and T. Graham Brown, Vince Gill, Alan Jackson, Clint Black, Shenandoah and Travis Tritt. 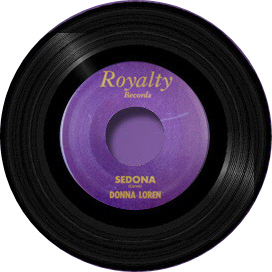 The vinyl discs that were sent to radio stations circulate among collectors. Note: a compilation of released and unreleased material. Chris Hillman plays on the songs indicated (#), including four new recordings (from 1990) - the last four tracks. Note: A compilation of songs compiled from the albums "Ever Call Ready", "Down Home Praise" and "Gospel Cannonball". The source of From the rising of the sun, The last train to heaven and If we walk in the light is not known. Note: A CD compilation of songs compiled from the albums "God Loves Country Music" "Country Praise" and probably "Gospel Cannonball". Note: Chris Hillman plays on the songs indicated (#). Features interviews with Chris Hillman and the other original Byrds. Note: Interestingly, Will This Be the Day is credited to CHRIS HILLMAN and the Desert Rose Band. Note: Chris Hillman (along with David Crosby) sings background vocals on Suddenly Blue, Without Your Love, and Back from Rio interlude. Notes: This is a reissue of the "Gene Clark with The Gosdin Brothers" album (mostly remixed) with bonus tracks. Chris Hillman plays bass on "Gene Clark with the Gosdins Brothers" album (indicated by #). He does not appear on the bonus tracks. Note: Chris Hillman contributes to one song on this Roger McGuinn compilation (#). Note: Chris Hillman plays mandolin on "Old Tom". Note: A compilation of previously released Desert Rose Band material. Note: The extent of Chris Hillman's participation is currently unknown. Note: This rare promo CD features a remixed, elongated version of Night After Night. Note: The Desert Rose Band - minus Chris Hillman - provides the instrumentation for this album. Contrary to some reports, Chris Hillman is not present on the album. Note: A compilation of Gram Parsons-related material. Chris Hillman participates on the songs as indicated (#). Note: not sold in stores. Notes: A reissue of the 1984 album "Firebyrd" with bonus tracks recorded a few years later. Chris Hillman on vocals, except on bonus tracks. The UK Demon album cover is pictured at left; the American release is pictured at right. Note: Chris Hillman plays mandolin where indicated, #. Note: This CD features songs by Willie Nelson, the Mavericks, Steve Wariner, Pam Tillis, Keith Whitley, Delbert McClinton, Merle Haggard, Waylon Jennings, Lee Roy Parnell, the Bellamy Brothers, Charlie Rich, the Desert Rose Band, Aaron Tippin and Hank Williams Jr. Note: Although Chris Hillman is not present on the album, the album does include one song written by Hillman, Love's Worth More Than Gold, that is not available elsewhere. Notes: Chris Hillman sings harmony (along with Herb Pedersen) on Private Conversation and I Can't Love You Anymore. Note: Chris Hillman plays mandolin where noted (#). Note: Chris Hillman co-wrote five songs (*) and plays mandolin one song, #. Note: Chris Hillman plays acoustic guitar on three songs he co-wrote with Steve Hill, #. Note: The original album (from Japan) is at left. The U.S. release is at right. Note: This CD does NOT include Chris Hillman, despite the cover photo. Although this CD features a photograph of the Parsons-era Burritos, the recording is from 1990 with the Burritos lineup that included Sneaky Pete Kleinow, Gib Guilbeau and John Beland. Note: This live version of In Another Lifetime may be unavailable elsewhere. Notes: A compilation that includes songs by Gene Clark, Gram Parsons and the Byrds. This CD spent one week in the UK (Compilation) Top 20 charts, peaking at number 20 during the week of May 21, 1994, according to 'The Guiness Book of British Hit Albums - Edition 7 (1996)'. Note: This compilation was included in the September 1998 issue of the British music magazine, Uncut. It includes one Flying Burritos song. Note: This compilation includes one song by Chris Hillman. Note: This compilation album features Chris Hillman where noted (#). Note: Interesting because you can hear a Spanish introduction just before Lazy Day. Note: Track list unknown. This CD features Wild Horses by the Flying Burrito Brothers. Other artists include The Who, The Flamin' Groovies, Rod Stewart, The Mekons, Mary Coughlan, Melanie, Chris Farlowe, West Five, Cassell Webb, Naked Prey, Bryan Ferry, Tony Merrick, Searchers, Mighty Avengers, Gene Pitney, Marianne Faithfull, Ike & Tina Turner, The Inmates, George Bean, Twice As Much, Otis Redding and Montrose. Note: This compilation CD features Wild Horses by the Flying Burrito Brothers. Note: Chris Hillman is not present on this album, but it does include six songs he co-wrote with Steve Hill, #. Note: This 2-CD promo version of the Gram Parsons tributes include the regular CD tribute plus another CD with the original versions of the songs. Interestingly, Sleepless Nights is credited to the Flying Burrito Brothers on the bonus CD, however it is the solo Gram Parsons recording. Note: Includes a live version of Mr. Tambourine Man recorde in April 1997. Note: The compilations pulls together the complete first three Burritos' albums, additional material originally released on Close Up the Honky Tonks, plus two live tracks from the live Burritos album (from 1972). Note: Includes one song, American Girl, from the Tom Petty tribute, with Hillman on mandolin. Note: Chris Hillman sings and plays on "House For Sale" and co-wrote "Bidin' My Time" and "Maybe Lucky"
Note: This DVD and VHS video features a 1972 live TV performance for German TV. It came out with three different covers. These recordings are not available on vinyl or CD. Image 3 is the december 2005 reissue on DVD. Note: contains one exclusive song by Chris Hillman and Herb Pedersen, especially recorded for this CD. Note: Chris Hillman is credited with mandolin and tenor vocals on "Running Wild"
Note: This box set contains all 13 Byrds Columbia/Sony CDs, plus 4 rare photos of the band and Pete Frame's Family Tree Of The Byrds. Note: track marked* is a live version from 1981by Roger McGuinn & Chris Hillman. Chris Hillman also plays bass on the Flying Burrito Brothers' track marked **. Note: tracks marked * are bonus tracks not in the film. Note: Chris Hillman is credited with backing vocals on Gene Clark's "I'll Feel A Whole Lot Better"
Note: Chris Hillman serves as producer. He plays bass on "Four Days Gone" and "Glad To Be Goin'" and sings background vocals on "The Captain." Note: Chris Hillman sings on *. He co-wrote **. Note: Chris Hillman appears on "Crazy From The Heart"
Note: a special recording project whereby some of the most talented musicians in acoustic music have volunteered their time and talent to help a girl who has a rare disease. Chris Hillman sings Missing You from his Other Side CD. Note: Lazy Days features a previously unheard instrumental backing track (with Roger McGuinn on six-string guitar) while Reputation showcases a previously unheard vocal take by Chris Hillman and Gram Parsons. Note: strangely, this CD is credited to Gram Parsons with The Flying Burrito Brothers. Playing and singing on this CD are Chris Hillman, Michael Clarke and Gram Parsons. Note: Chris Hillman plays mandolin on one track (Mr Guthrie). Silver Raven is the Gene Clark song. Note: a collection of outtakes, rarities, alternate takes, demos and unreleased tracks. Also available as a double vinyl LP. Note: track marked * is not available on the stock copy. It's a bonus track exclusively downloadable from iTunes USA. Note: this is the official release of a concert that has been circulating for decades on bootleg tapes and CDRs. Several people suggested us to include "Devils In Disguise" by the Flying Burrito Brothers in the Chris Hillman and Michael Clarke discography pages. This album, which came out in 2012 on CD on the Smokin' label, and on vinyl as a double LP in October 2013 on the Let Them Eat label, features a July 1971 concert broadcast by WMMR in Philadelphia. In a private e-mail to Byrds Flyght, Chris Hillman's wife Connie confirmed that it was an unauthorized release, and thus doesn't qualify for being mentioned on the Chris Hillman and Michael Clarke discography pages. Thanks also to Mike Masterson, Hans Kamermans, Gary Smith, Kazuhiro Goda, Willy Brauch, Albert Schei, Michael Hatton, Julie Prall, Roderick Hogarth, and Johnny Rogan. If you have further information about albums featuring Chris Hillman, please e-mail Raoul Verolleman at byrdmaniax2003@yahoo.fr. There are additional recordings that include Chris Hillman. Further information is unavailable at present. Hillman reportedly produced or performed on an album by Keith Allison. Hillman however, in an e-mail in 1999, said he could not recall ever working with Allison.